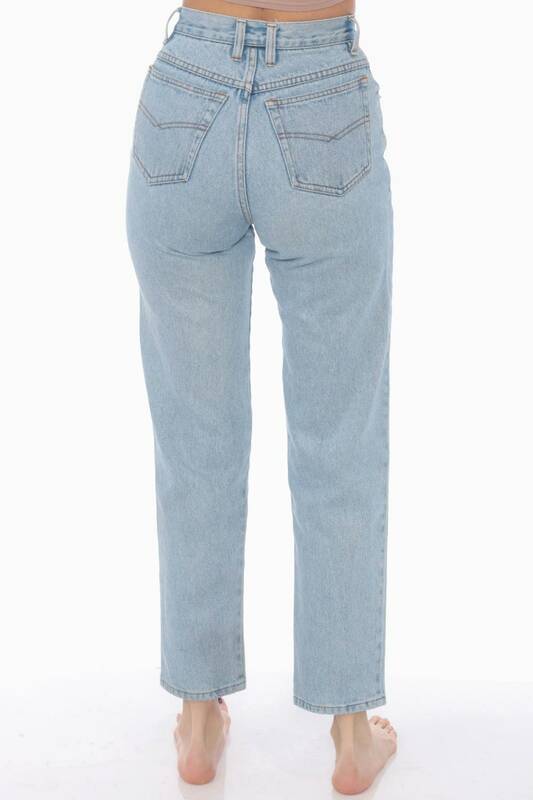 Vintage 90s pants n light blue denim with a high waist and a tapered mom fit. Condition: Very good vintage. Small mark near right side of zipper.